All Green Recycling is your able partner for Electronics Recycling in Yuba City. California is a big city with a large population and every town and city need to start with electronics recycling in order to keep the entire state environmentally friendly. Electronic wastes are propagating and residents are having a hard time handling this problem. We will take this problem off your hands. There is a progressively shortened useful life among electronic equipment. Take every EOL IT item to us and we will refurbish and remarket it. The speed at which technology evolves means constant changing of equipment. Make sure information is securely deleted in old technology. Product recall is sometimes inevitable. When that happens, take care of your reputation and credibility by coordinating with us efficiently. With a population of close to 65,000 people—as of the 2010 census—Yuba City knows that it has to work hard in order not to have the city tainted with the toxic wastes from electronics. The leaders of the city know that with this much people, electronic wastes are just as many or maybe even more considering that one person can own more than one electronic item. 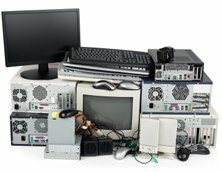 You need now our Electronics Recycling Yuba City Services more than ever. The City Hall has initiated an education campaign of recycling in the community. We are one of the best options for electronics recycling and disposal. Recycling electronics in Yuba City is hassle-free with All Green Recycling. With just a call on the phone, the company will either pick up your electronic wastes in your area or check out the designated facilities where residents can drop off their wastes. Yuba City has a high unemployment rate and its median income per family is only $39,381—way lower than the national average of over $59,000. But despite this low economic statistic, the population continues to own electronic items. They don’t have to be the latest gadget or the most expensive, but majority of the population own at least one. Some electronic devices have become necessities—cellphones and computers or laptops for work. The increasing number of electronics and the speed by which they become obsolete entails a large quantity of electronic wastes every year. Recycle electronics in order to prevent various dangers. For one, there is the health danger that everyone will face if electronics ever reach the landfill. Electronics contain toxic wastes that could contaminate groundwater that would nourish our plants and animals—humans’ source of food. The same chemicals can also pollute the air and would endanger our lungs when we inhale them. And then, there is also that security aspect. Electronic wastes contain sensitive information that may get into the wrong hands when not handled properly. Schedule your e-waste pickup schedule today for you to enjoy the helpfulness of our services.